Read our latest research papers! 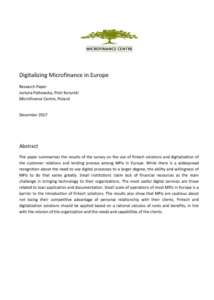 The paper summarizes the results of the survey on the use of fintech solutions and digitalization of the customer relations and lending process among MFIs in Europe. While there is a widespread recognition about the need to use digital processes to a larger degree, the ability and willingness of MFIs to do that varies greatly. The results also show that MFIs are cautious about not losing their competitive advantage of personal relationship with their clients. Fintech and digitalization solutions should be applied based on a rational calculus of costs and benefits, in line with the mission of the organization and the needs and capabilities of the clients. 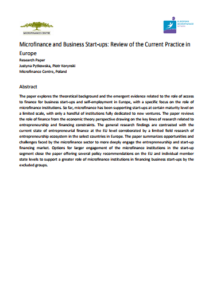 The paper explores the theoretical background and the emergent evidence related to the role of access to finance for business start-ups and self-employment in Europe, with a specific focus on the role of microfinance institutions. 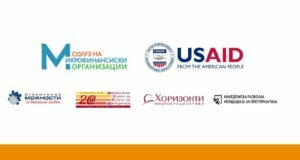 The paper summarizes opportunities and challenges faced by the microfinance sector to more deeply engage in the entrepreneurship and start-up financing market. Options for larger engagement of the microfinance institutions in the start-up segment close the paper offering several policy recommendations on the EU and individual member state levels to support a greater role of microfinance institutions in financing business start-ups by the excluded groups. This publication has received financial support from the European Union Programme for Employment and Social Innovation “EaSI” (2014-2020). For further information please consult: http://ec.europa.eu/social/easi. The information contained in this publication does not necessarily reflect the position or opinion of the European Commission.